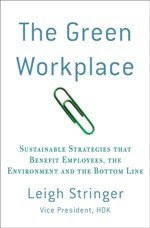 The Green Workplace: What if there were no air conditioning? No joke, it's been MISERABLY hot here in Washington, DC - I'm sure you've heard about our heat wave on the news. But, it's summer in DC, which was brilliantly built on a swamp...that means, every year it is miserably hot and humid for at least a portion of the summer. We've adapted by developing buildings with air conditioning and massive refrigerators. It's worked out OK for the workers, but it uses unfathomably huge quantities of energy. I ran across a great article in the Washington Post about what would happen if we didn't have AC. I mean, the founding fathers didn't have any when they located the capital city here, so it must be possible, right? I really like this. I found this online that, Heat And Cool, Americans NUMBER 1 Online HVAC store, Free Shipping & 50%OFF on select products Klimaire Central Ducted Systems. You can rest assured that as a customer of Heat And Cool you are receiving the best prices, support, and products. I'll happily pay for my Calgary air conditioning. I go crazy when it's too hot. Sunglow Heating in Portland Can help you in doing the AC repair. Air Conditioning Repair Pleasanton CA visited to assist my new Air Conditioner. They install my new Air conditioner and they also had given me free service for month to my AC unit. I found this blog post very informative and innovative. Air conditioner not only cools your home but also it also helps in cleaning the Air as well. So keep maintaining your Air Conditioner time to time so that Air Conditioning can be done smoothly. I completely agree with this. Thank you..!! Imagining the place where there is no air conditioner during the hot and scorching summer is unimaginable. Today, the necessity of the air conditioning unit has been increased in almost every corner of the place like, residential and commercial. Last week, a close relative of mine, purchased an air conditioner from a recognized company and he suggested me too to visit some nice websites like, Premier Air Conditioning, that offers air conditioner installation, repair and maintenance which helps to bring the quality and fresh air in the home or office by increasing the productivity of the work. air conditioning service Sydney at Ice Age Group and Ventilation Installation and Service specialists in Sydney - Ice Age Group. system.Air conditioners has become a very important asset in today's scorching heat as it helps in cooling from the heat.TRUSTPREMIERE is one such name we can trust.For all that commercial air condition maintenance, installation & design services ,the trustpremiere team of experts that is ready to respond to your repair request during the busy hours of the day or night. They have the best repair specialists in Hialeah Florida.